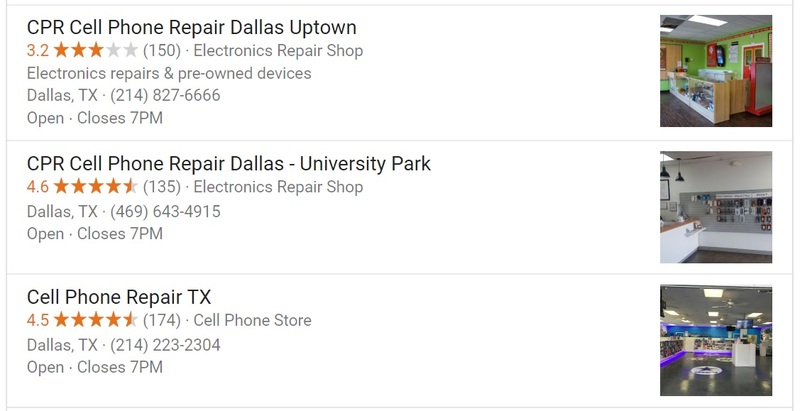 If you weren’t aware, Google’s local 3 pack is heavily influenced by keywords. 99% of the time, this is not a factor; businesses just use their business name and the chips fall where they may. Aside from keywords, the main factors to show up in the local pack are organic rankings, followed by searcher proximity. Nearly 20 years ago, when I opened a business, I started it with the letter “A”. That’s because when people opened the telephone book, many people would call the first business on the list. That’s one reason why there are so many companies called things such as “A1 Auto” or “AAA Locksmiths”. These days there are definitely benefits to having a company named with your keywords. This wasn’t always the case. When Google first introduced local results, the businesses to rank first were located near the city’s “centroid”. A question back then could have been “Should I relocate my business for Google?” That’s still a bit of a factor, but beyond the scope of this article. Can attorneys rename their business? One of the most competitive niches online, which I happen to work with, is the world of personal injury lawyers. I have been seeing a lot of spam in this niche lately, mostly from lead gen sites. Generally speaking, the lawyers will wade their way into spam waters and retreat once Google catches them once or twice. But what if an attorney named their practice “Personal Injury Lawyer”? This is indeed occurring in several cities around the United States and beyond. And, it’s not just attorneys, it is literally every type of business out there. Would you rename your company to show up in Google? Of course, this is just one piece of the puzzle. You’ll need to rank and get reviews and be located within city limits to display in the local pack. I have been seeing locksmiths, cab companies and other repair services showing up in local results by renaming their business. At some point, I expect this will change, but for now, it makes sense. An added benefit is that if someone links to your business name, they are actually linking to you for key words (Eg: Dallas Taxi). How helpful that is is a story for another day- keywords are overrated – for more on that read my article about what natural links look like. If you would change your company name, LLC, DBA or P.C., to show up better please feel free to comment below and let the world know!